It might have just 80,000 inhabitants, but Mahdia has become popular with tourists who like to take advantage of its quiet, coastal surroundings. Both locals and foreigners are keen to benefit from the fishing city and its close proximity to Sfax most definitely makes it accessible. As such, the hotel trade is vibrant. We’ll now take a look at the best ten hotels in Mahdia, to help those of you who are contemplating a stay. Check out hotel availability here. 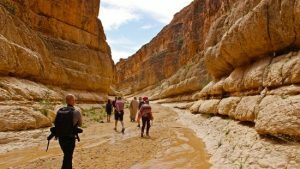 Pictures are courtesy of Travel.com. 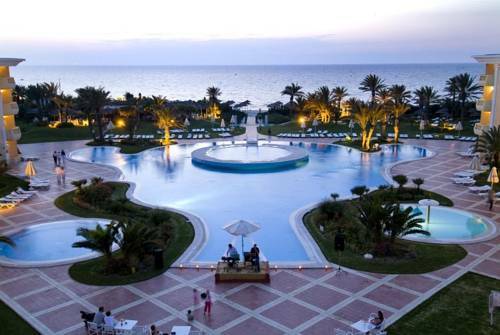 There’s no doubt that the IBEROSTAR Royal El Mansour & Thalasso is one of the premier hotels in Mahdia. As soon as you set foot in the area, and walk beside fountains that lead you to the entrance, you’re immediately charmed. While the hotel is obviously pleasing on the eye, most guests are also impressed with its personal nature. Every member of staff will go the extra mile to assist you, with many often remembering your choice of drink. The rooms at IBEROSTAR Royal El Mansour & Thalasso are particularly large and you can opt for a pool or sea-facing one. For those of you who like to dabble in events, the animations here are also worthy of a mention and ensure that there is always something going on for guests. 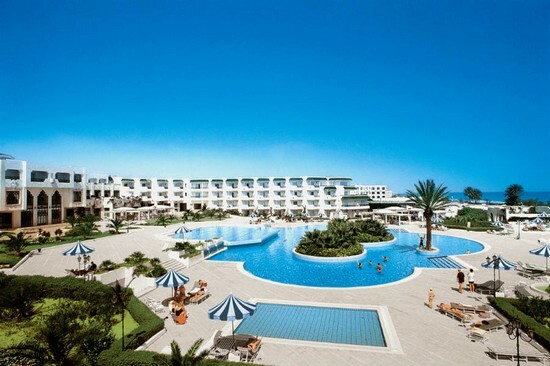 Next on our list is the Hotel Riu El Mansour. 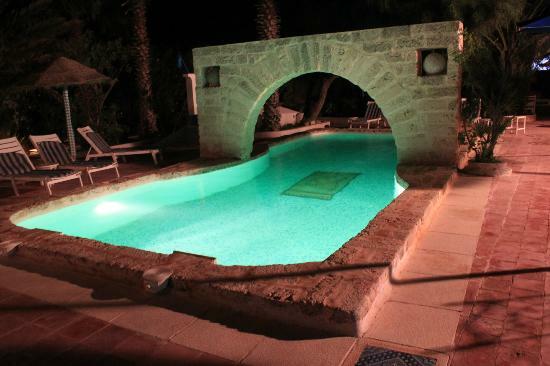 For anyone who loves time by the pool, this is one of the best hotels in Mahdia you can have. The pool area is huge to say the least and not only that, but the establishment also has its own private beach. Anyone who visits the Hotel Riu El Mansour doesn’t necessarily have to stay on-site for their whole trip either, with the establishment situated next to some decent shops which can inject some local culture into your stay. Overall, the hotel is clean, spacious and also offers a decent variety of food. 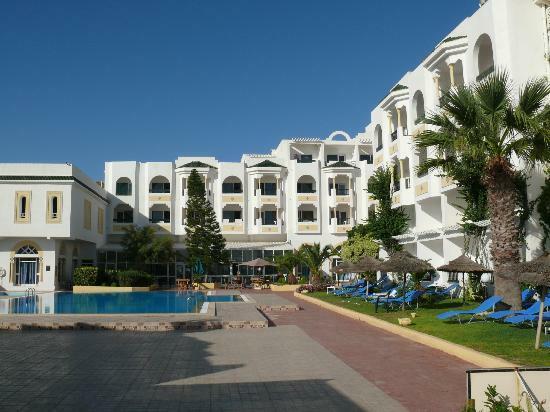 There’s no doubt that Residence Dar Sidi is a much smaller establishment than the previous two that have been looked at, although this should not detract from it at all. Some previous guests have described it as more of a boutique hotel, which is certainly a compliment, and the quiet, charming nature of Residence Dar Sidi will definitely appeal to a lot of travelers. As well as the actual grounds being quiet, Residence Dar Sidi is set in one of the quieter areas of Mahdia which again might be appealing to some guests. Fourth on the list is another hotel that’s hardly commercial and again, this works completely in its favor. The rooms at Veraclub El Mehdi boast beautiful garden views, while the buffet food is worth a mention and will leave most guests drooling for more. Even though it appears like a small, rustic establishment, it still has a vibrant animations team who will be sure to keep you on your toes and provide plenty of events should you wish. As the name suggests, this hotel is situated by the beach. Some guest might not feel the need to dabble in the sea though, with Topkapi Beach boasting a giant pool that will be more than big enough for most. 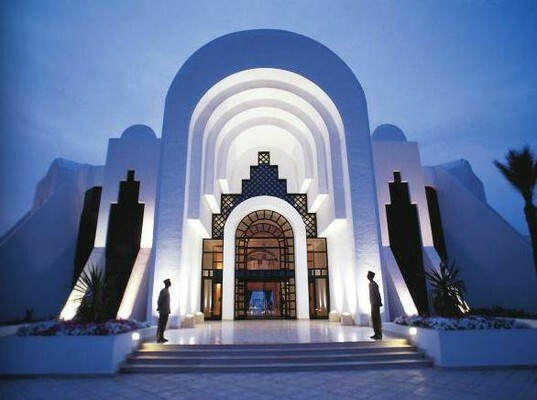 The general consensus from most previous guests is that this is a hotel which is perfect for anyone who wants to get into the spirit of Tunisia, and participate in the events. The animations team are renowned for being active and enthusiastic and will most certainly make your stay one to remember. While officially this hotel might be classified as three-star, the majority of guests who have stayed here have said that it is worthy of being at least four. 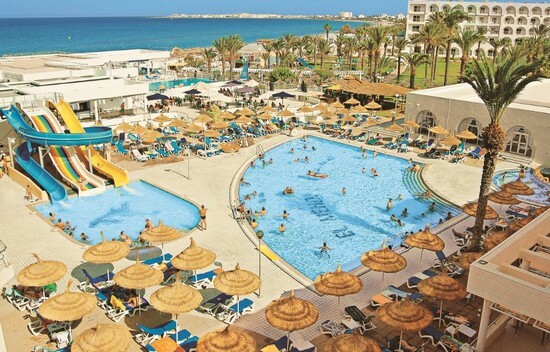 While it’s not the biggest resort in Mahdia, it’s certainly got charm and everything from the picturesque pool to the on-site beach is second to none. The food is also highly regarded, while those who want their days filling can take advantage of the adventurous animations team. This is another hotel set right on the beach and again, it arrives with rave reviews. Admittedly, it’s a little older than some of the other hotels we have looked at, but that should not take away what really is a great resort. The hotel is of a unique horseshoe shape, which again adds to the experience, while there are excellent facilities for children such as a playground, kid’s swimming pool and even a mini disco in the evenings. For adults, it’s more of the same, with the animations team also coming highly recommended and offering everything from darts to Zumba. Nour Palace Resort is another resort with an impressive pool area, with this unique shape setting it apart from the standard hotel. Again, it’s on a beach front which adds to your activity options, while if watersports and sunbathing aren’t your thing there is another animations team who are itching to get you involved with activities. The whole resort can be classed as spacious, while the beach bar, main restaurant and cafe offer food for everyone. 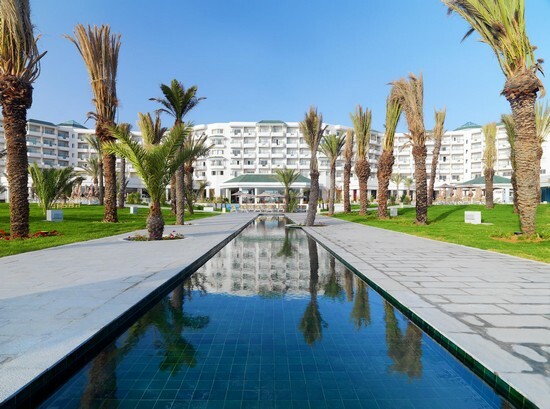 The ‘palace’ element of this hotel is certainly justifiable, with the architecture of Mahdia Palace Thalasso being hugely impressive. The whole area where this establishment is situated oozes beauty and it is yet another that offers its own beach at the foot of the site. 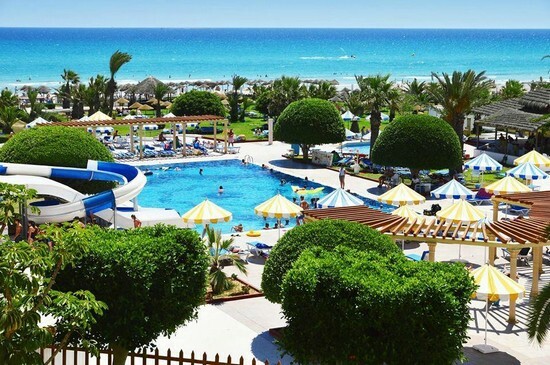 It would be fair to say that the hotel is one of the quieter ones around but if this is what you’re looking for, you won’t go far wrong with Mahdia Palace Thalasso. It might be something of a cliché, but it’s certainly a case of last but not least with Club Thapsus Hotel. It’s an establishment which caters particularly well for children, with the pool areas having a segmented part for the very young to play in. Elsewhere, the food is worthy of a mention and dwarfs the three-star rating that this hotel has been given, as do many of its other impressive features.